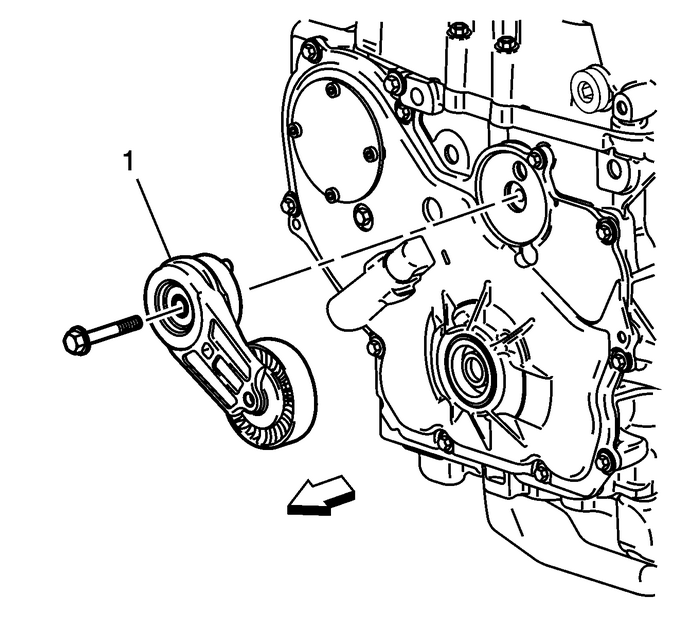 Remove the accessory drive belt tensioner bolt.Remove the accessory drive belttensioner-(1). 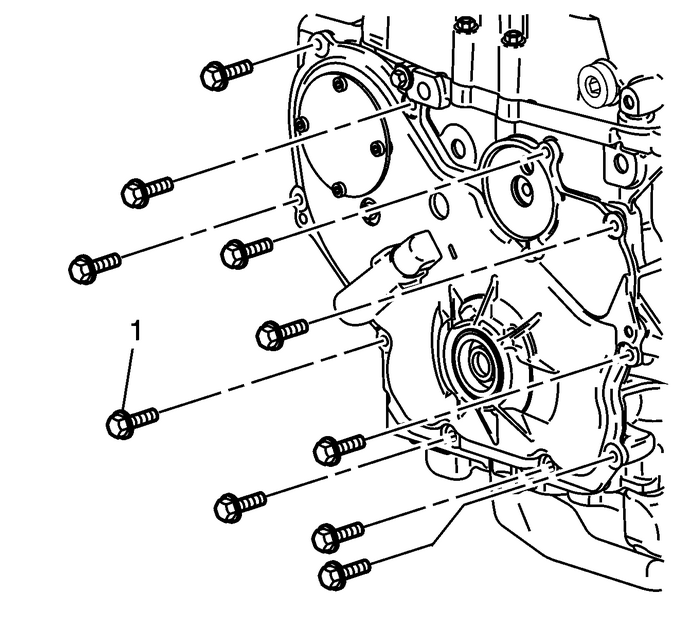 Remove the engine front cover bolts-(1). 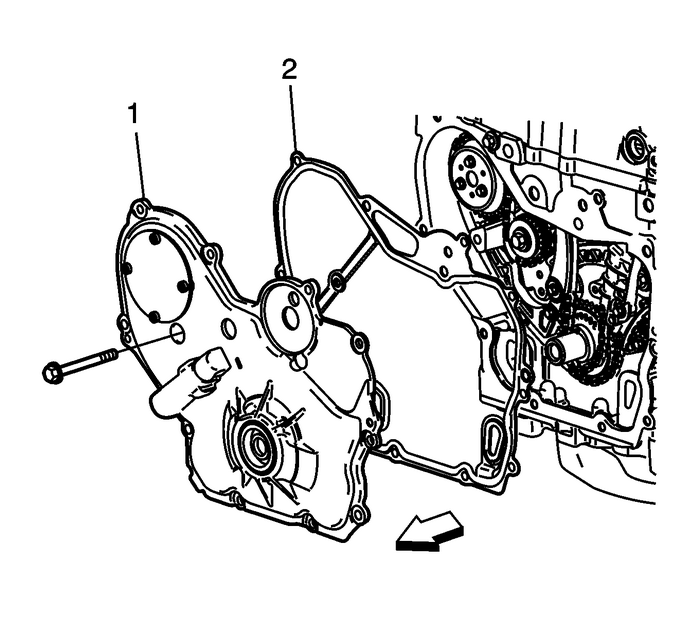 Remove the long water pump bolt.Remove the engine front cover-(1) andgaskets-(2).Remove the crankshaft front cover oil seal with anappropriate tool.